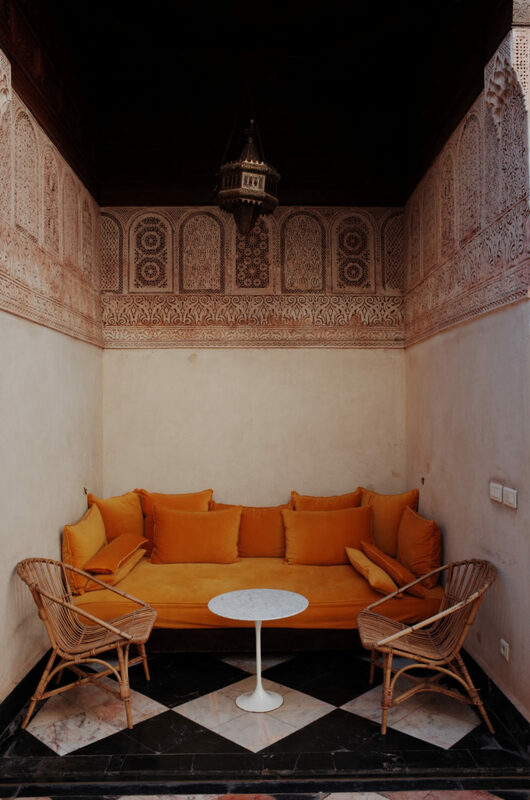 Marrakech's courtyards exude luxury and comfort. 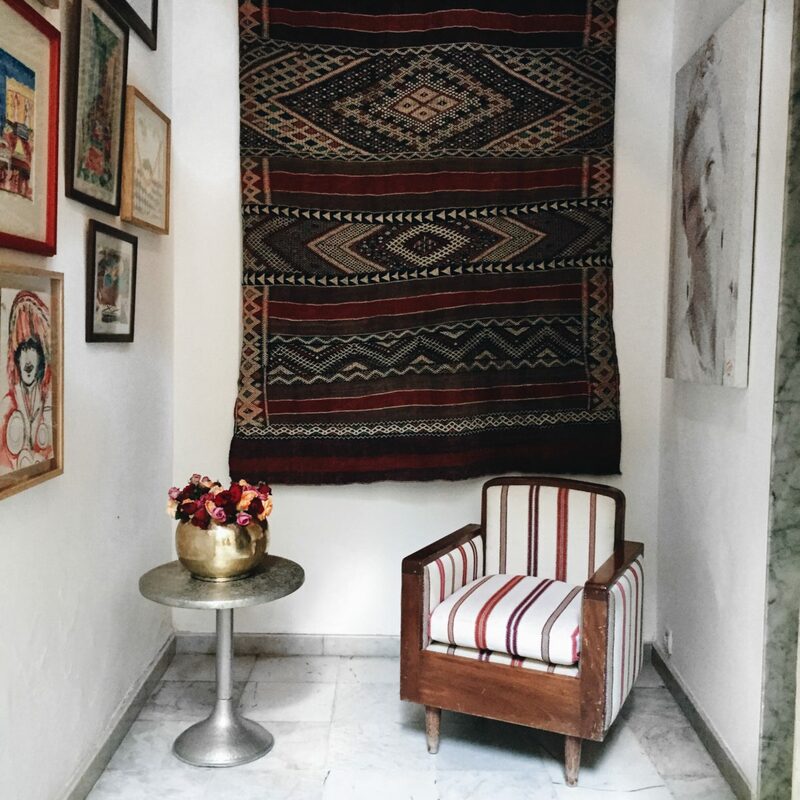 The Moroccan rug represents more than just decoration. Thousands of years of tradition lie within every weave, vibrant color, lush texture, and diverse pattern dating as far back as the Paleolithic era. Today, former Soludos marketing director Robert Wright and artist Tiberio Lobo-Navia endeavor to make the same timeless luxury and comfort accessible to homes around the world. 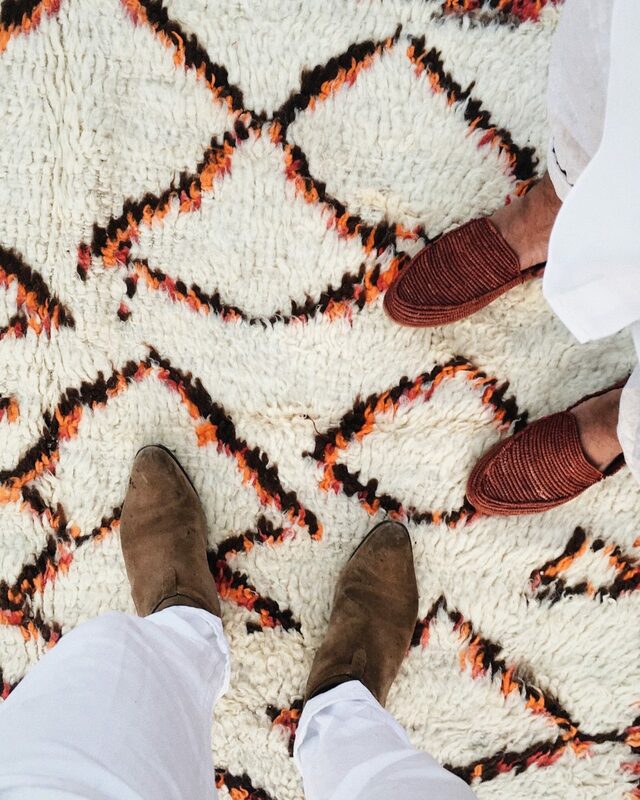 With Beni Rugs, they craft custom-designed carpets for those seeking uniqueness and authenticity. Here, photographer Grant Legan captures the rugs’ journey from the foothills of the Atlas Mountains to the roads of Marrakech—as well as the spectacular views that accompany them along the way. 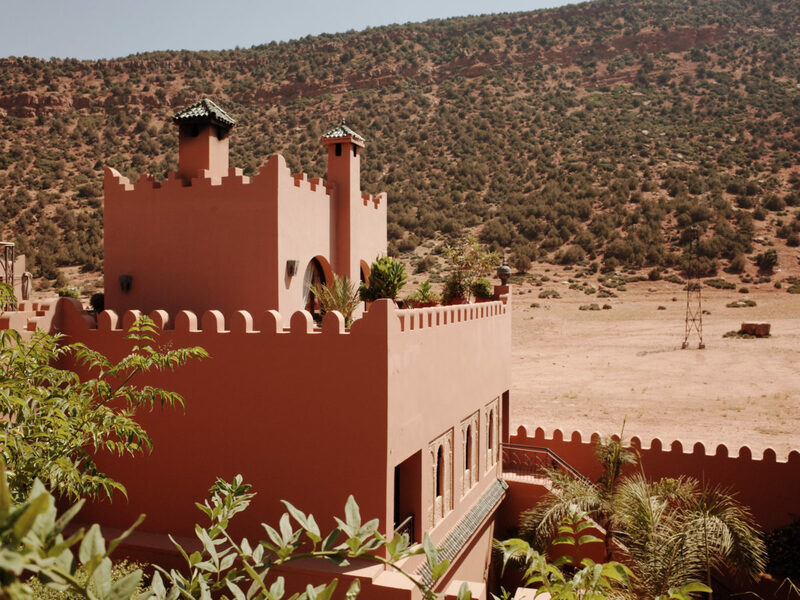 Scarabeo Camp is located in the Agafay Desert, a bumpy 45-minute drive from Marrakech. 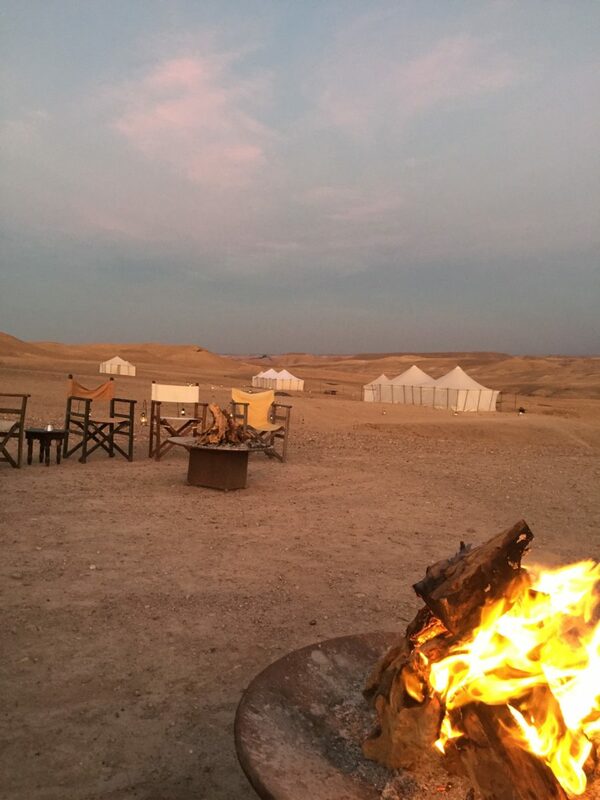 White linen tents, silence, and stunning views of the stars make it a magical place. The camp has an astronomer who will point out all of the constellations come nightfall. You make your own entertainment camping out in the desert. 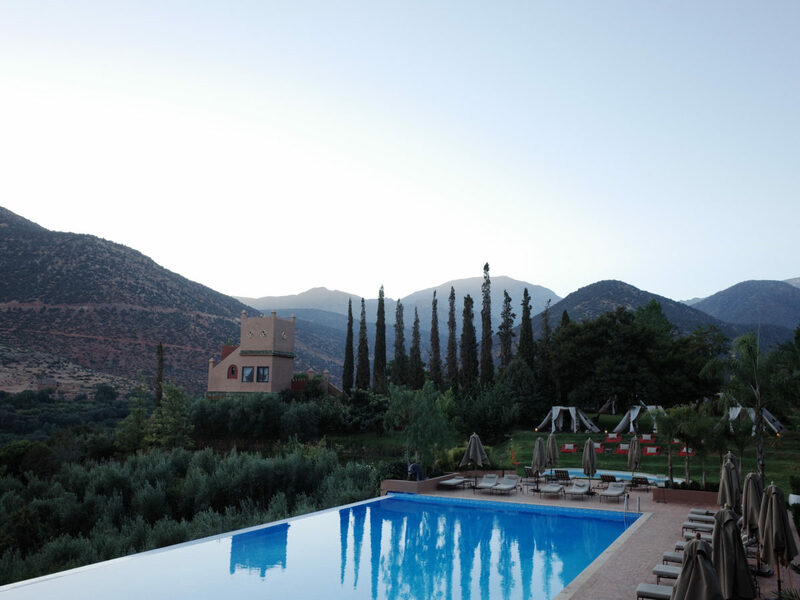 There are open mountain views at every turn at Richard Branson’s Kasbah Tamadot Retreat, nestled in the hills about an hour outside of Marrakech. We’d be happy hiding away for a few weeks (or months) in this absolute paradise. 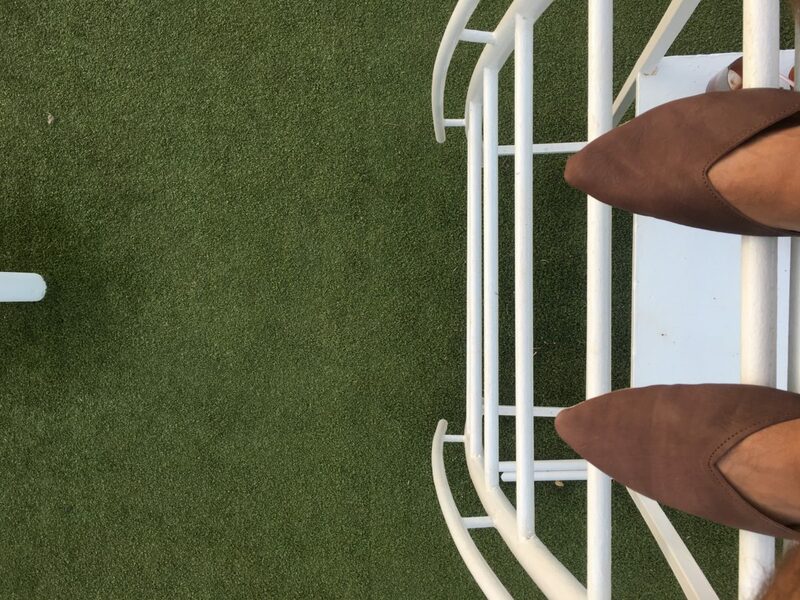 Supervising a heated tennis match (in Moroccan slippers, naturally). 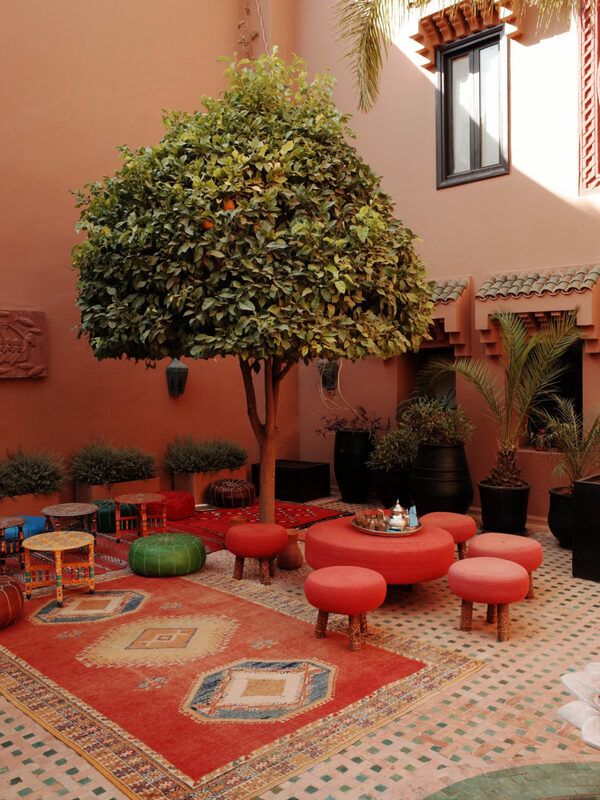 Moroccans know a thing or two about courtyards. 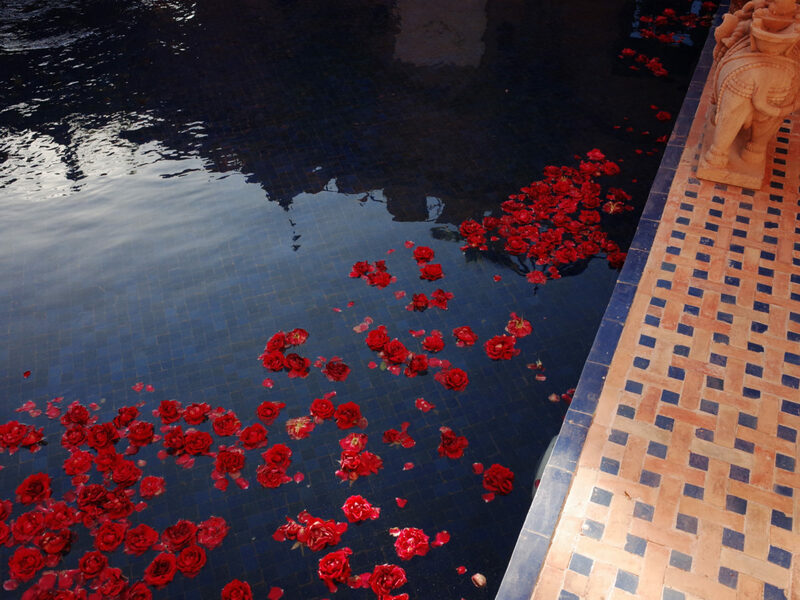 Floating flora take the swimming pools here to the next level. 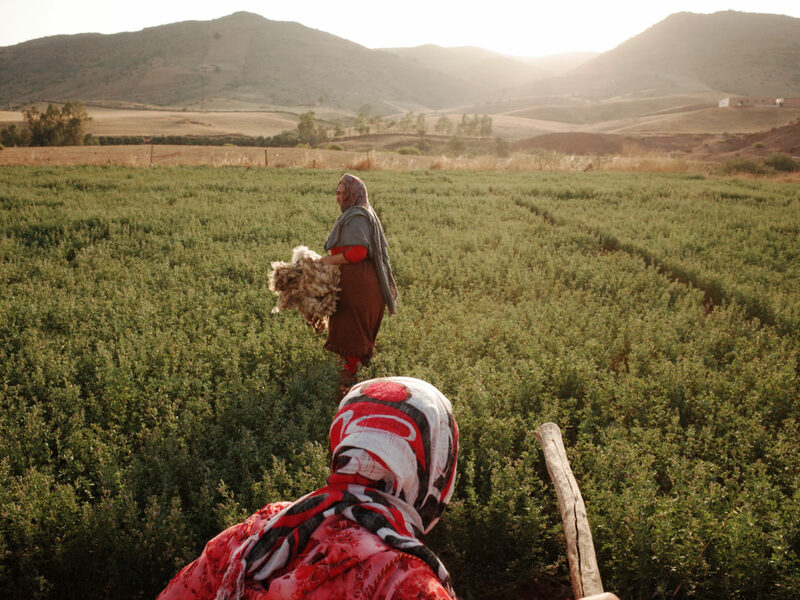 Washing newly woven rugs as the sun sets over the Atlas Mountains. This idyllic spot is nearly six hours outside of Marrakech. Hanging with the shepherd who carefully tends the flocks of sheep that roam the wide open fields. 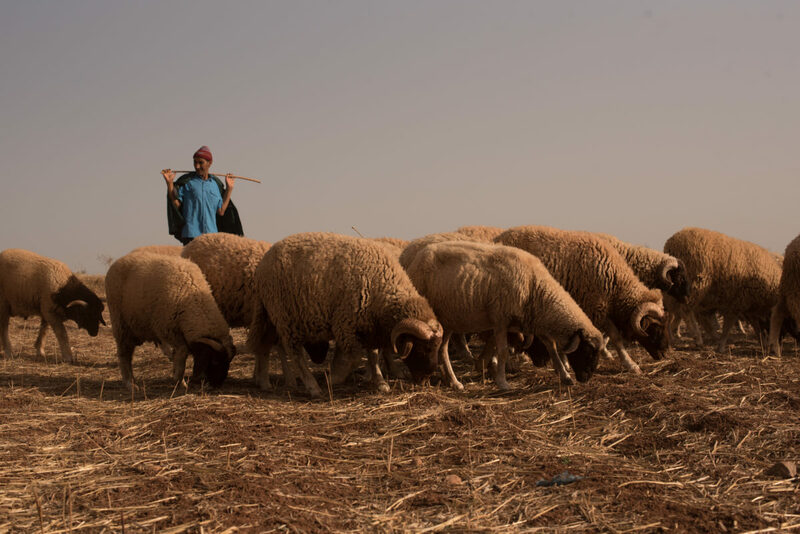 It can take the wool of 50-100 sheep to make a single large rug! 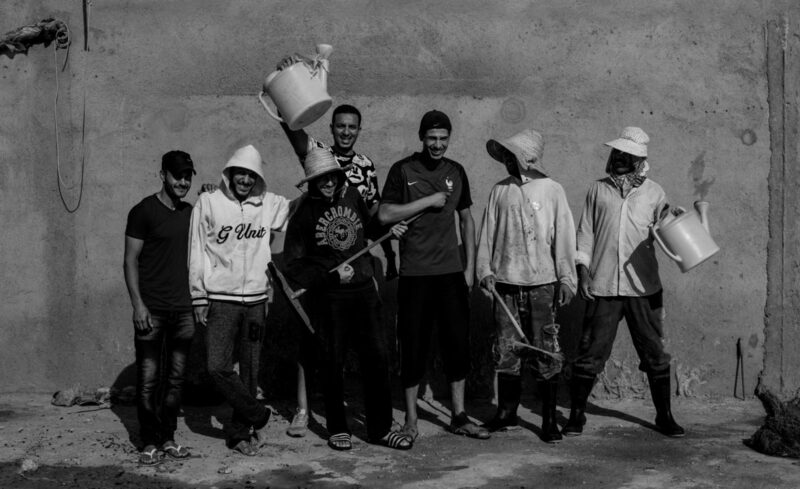 A soaking wet crew of weavers at the end of a long day of washing and drying rugs. 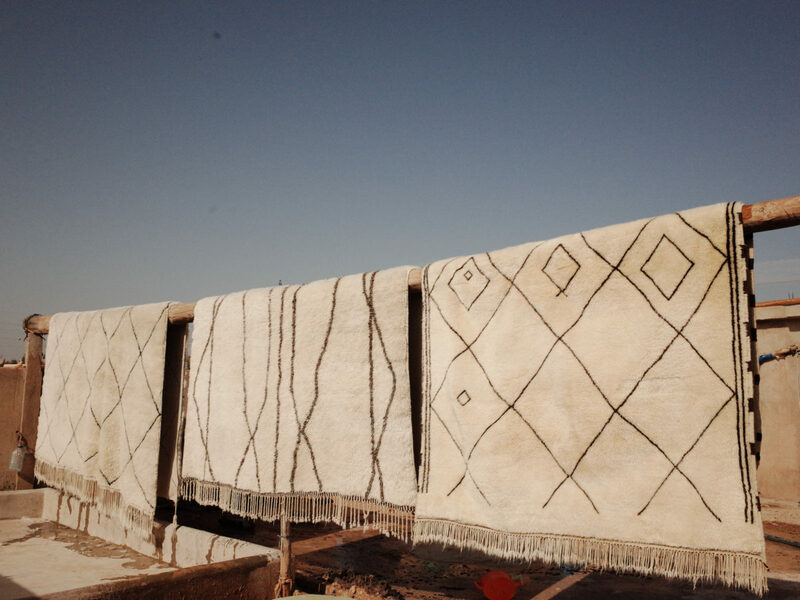 Beni's designs drying under the hot Moroccan sun. Weavers carrying freshly shorn wool to the river to be washed. 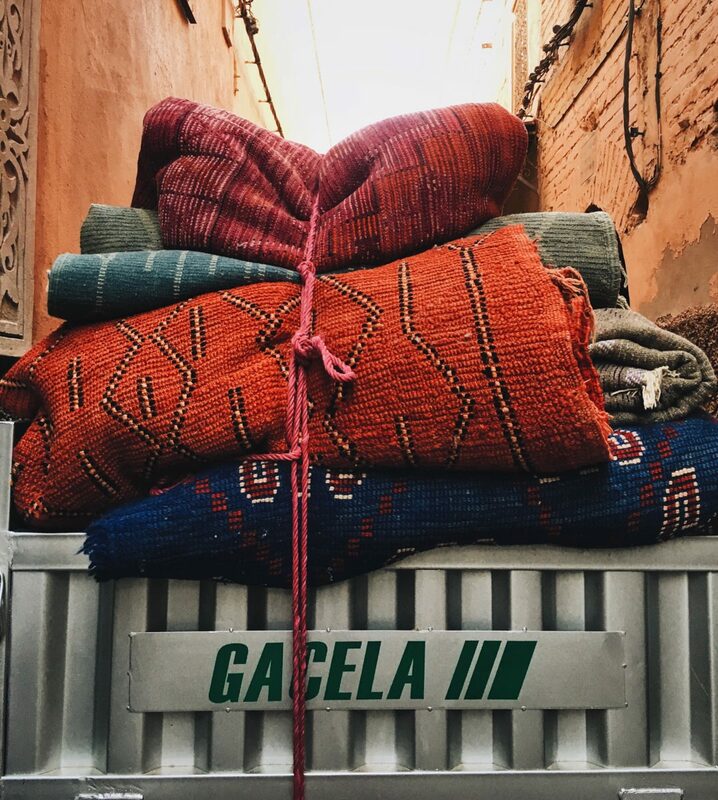 After being finished in the Atlas Mountains, Beni rugs are transported back to the city and then through the winding alleys of Marrakech. 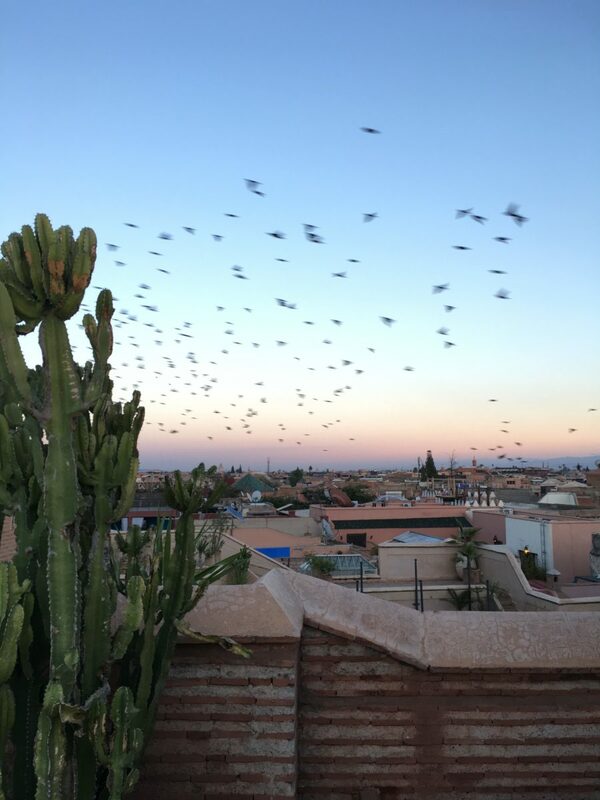 The gorgeous colors of Marrakech. 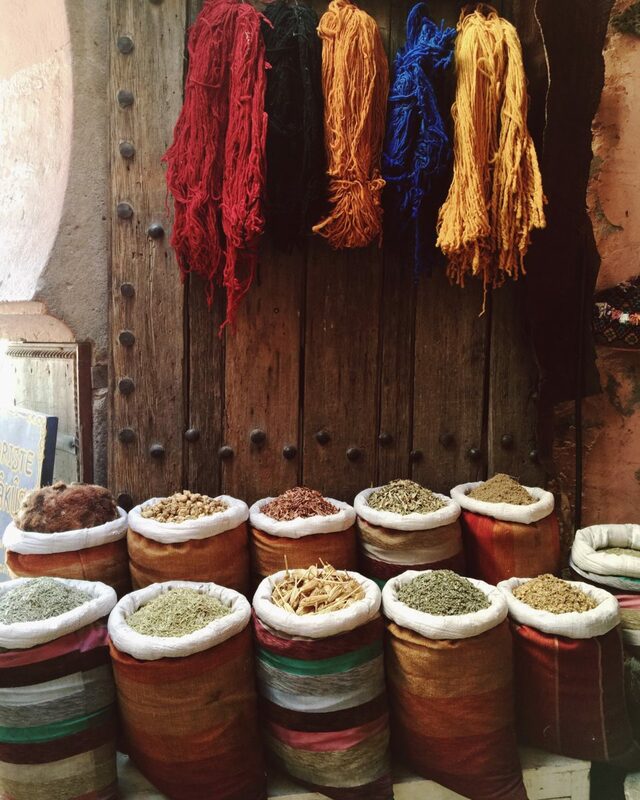 Shopping for pattern and color inspiration in the souks of Marrakech. 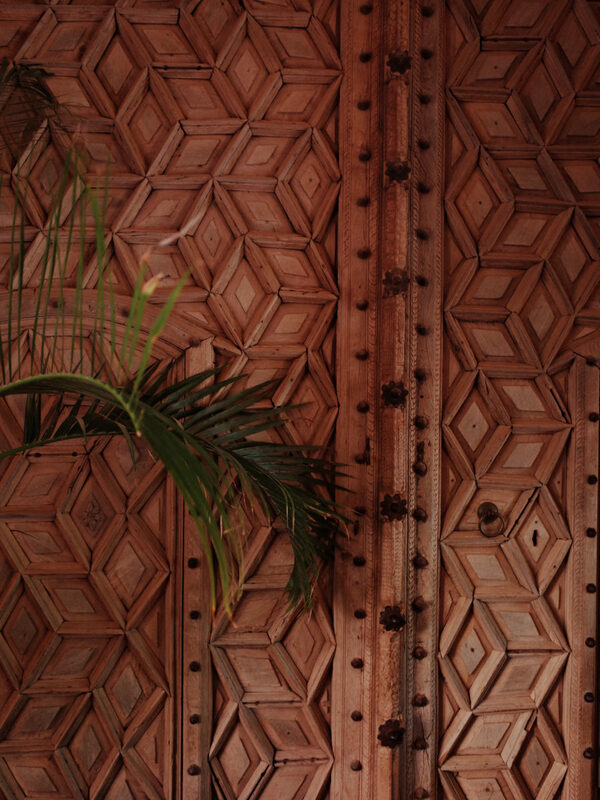 Some of the most incredible moments are found in the beautifully designed riads that dot Marrakech. 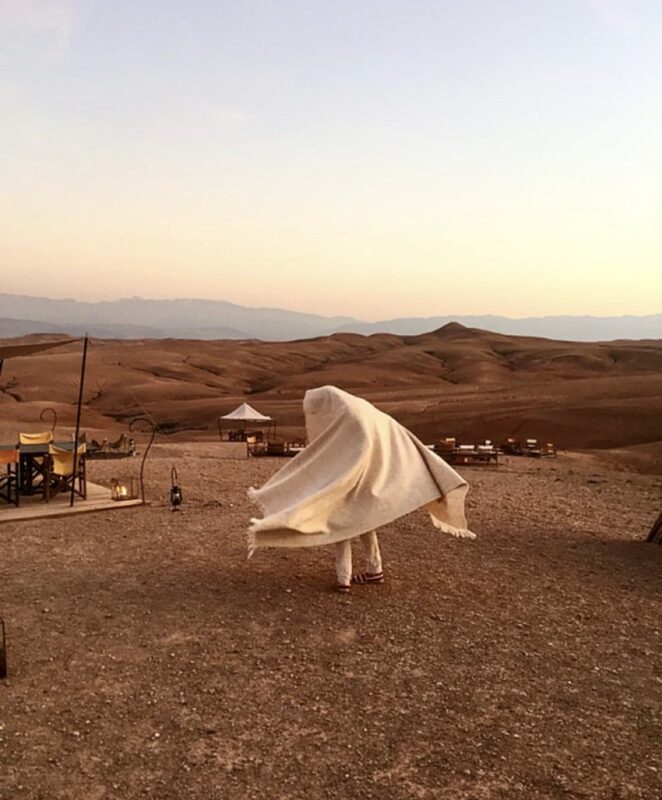 One of our favorites is El Fenn and its rooftop, which plays host to the most epic sunsets, as well as sunrise yoga for early birds. Designer and hotelier Willem Smit has turned every corner of El Fenn into a perfectly imperfect scene. Our favorite reading nook at El Fenn. 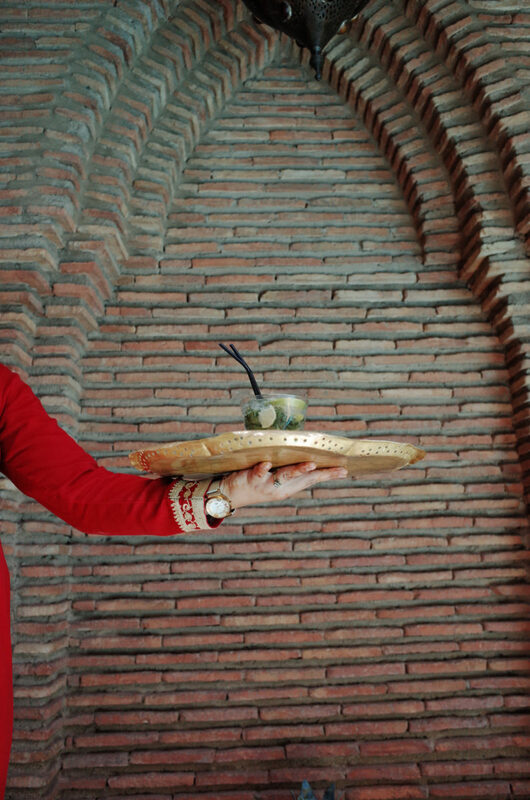 La Sultana is one of Marrakech's largest riads. Moroccan mint is beyond delicious—so just imagine the cocktail possibilities.